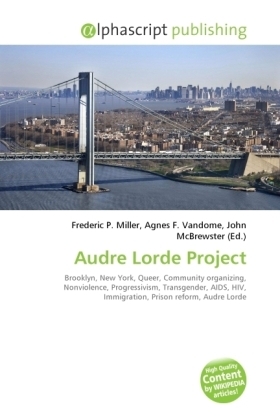 The Audre Lorde Project is a Brooklyn, New York-based organization for queer people of color. The organization concentrates on community organizing and radical nonviolent activism around progressive issues within New York City, especially relating to queer and transgender communities, AIDS and HIV activism, pro-immigrant activism, prison reform and organizing among youth of color. It is named for the queer poet and activist Audre Lorde and was founded in 1994.